- Keep all your barbecuing tools handy - tongs, chopping boards, insulated gloves, brushes ect. - Remove meat and poultry from the fridge an hour before cooking and leave covered in a cool kitchen until required. This will help bring the food back to an ambient temperature, and will result in a more succulent cooked result. - Always know how many guests you are expecting and make sure you are seated near to the kitchen. This means you won’t be barging past your guests when going to and from the house. - Keep plenty of iced water handy – particularly if you’re barbecuing on a hot day. If you stick with the beer or wine your guests will soon be dehydrated (and you maybe too tipsy to tend the barbecue). - Prepare dressings for salads and marinades for the barbecue in advance to be one step ahead of yourself – and the changeable weather! Meat and poultry will benefit from marinating overnight in the refrigerator rather than for an hour just prior to barbecuing, so do as much preparation ahead of time as possible. - If you’re having a barbecue at night, don’t forget to consider the lighting. - Check with your guests if they have any special dietary requirements. - Burning citrus candles is a great way to keep the bugs at bay and stop them biting your guests, especially if you’re serving any sweet food or drinks. - If you’re having an afternoon barbecue, make sure there’s plenty of shade to avoid sticky sun burnt guests. - Pork, sausages, burgers and chicken in particular, must always be cooked through to the center. It might look cooked on the outside but can still be raw in the middle. Check by piercing the thickest part with the point of a sharp knife. If the juices run clear then the meat is ready. Any sign if pink juices will require further cooking. 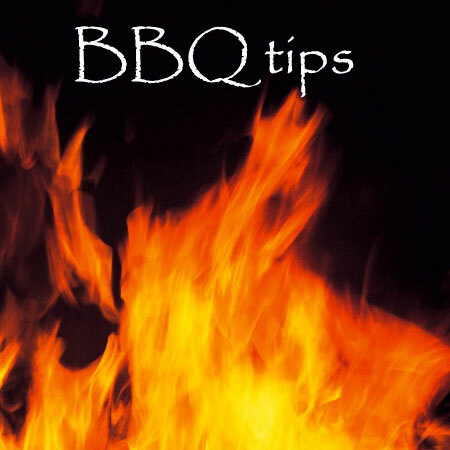 - Be aware of wind direction and the proximity of neighbors when placing your BBQ. - Clean your charcoal barbecue after each use, once the grill has cooled down - a wire brush and warm soapy water is all that is needed - little and often is secret. Your gas barbecue can be cleaned by simply burning off the grill for 10 minutes. Cooking meat has everything to do with time and temperature. You have too much of one or the other or both you may be seriously overcooking the meats. When you overcook meat, the fibrous proteins in it become solid, dense, and dry. You need to find a happy compromise between getting the meat done and keeping it moist and tender. You should invest in an instant-read thermometer, which will help you know when your meat is fully cooked. Meats will continue to cook after you remove them from the heat — small cuts like pork chops and hamburgers will rise an additional 5° or so while large roasts will rise 10° or so — so you should remove them shortly before they reach the desired temperature.